Since it’s my <coughty coughth> birthday, and since you can still enter on Goodreads to win an Advance Reader Copy of THE GLASS WIVES, I thought I’d give away something else in honor of the big day where the law is that I have to eat cake. I mean, that’s celebratory enough, but I’m a sharer. two cups for coffee (or tea) for you and a friend, of course! My main character, Evie, seems always to be pouring cups of coffee for her best friends, Laney and Beth, so this prize seems perfect, don’t you think? Answer this question in the comments: WHAT ARE YOU READING? Or, tell me your best or worst birthday gift EVER! Leave a comment with your email address and you’ll be entered to win! You can enter once here and you can enter one more time by “liking” my Facebook page if you haven’t already (I am soooo close to 400 likes). See the box in the sidebar to the right? Just click there or go to Amy Sue Nathan on Facebook by clicking here. If you already do “like” my author page on Facebook, just let me know that for your second entry. Just 24 birthday hours for this giveaway. It ends at 11:59pm Central Time tonight. I’ll randomly choose a winner when I wake up tomorrow with a cake hangover, and I’ll contact the winner and post it here! You must live in the USA or Canada to win. If I can’t reach the winner by email within 48 hours, I’ll choose another winner. Right now I am reading Swim Back To Me by Ann Packer, and loving it! My worse birthday was when I was six. I took a nap and slept through my own party. 🙁 Every year has pretty much been uphill from there. I just clicked over and liked your FB page for my second entry. i’m reading ‘into the free’ by julie cantrell. Happy Birthday! Looks like you are going to have a stellar year. I’m reading The Painted Girls as well (though not as quickly as I’d like). Before that I flew threw Allie Larkin’s Why Can’t I Be You and Pamela Redmond’s The Possibility of You—both recommended! I’m reading The Lost Saints of Tennessee by debut author Amy Franklin Willis…loving it so far! The book I am reading right now is Along Came Trouble by Ruthie Knox. The best birthday gift ever was my green Caviler my grandparents got me on my sweet sixteen! Worst gift ever …well.. boyfriend dumped me for my friend! I already like you on your Facebook page. Happy Birthday, Amy! May your day be filled with frosting and miniature fires (i.e., candles). What am I reading? Two novels right now, actually: “Edward Adrift” by my buddy Craig Lancaster (completely funny and charming–the book, that is) and “Red Moon” by Benjamin Percy (which is oh-so-very-good). Happy Birthday, Amy! I’m reading the fabulous Calling Me Home, by Julie Kibler. Have a wonderful day! Afterwards by Rosamund Lupton (love the way she writes). Congratulations on THE GLASS WIVES! Happy xxth b’day. Already “liked” you, Ms. Nathan. Just finished In Blood by Ellen Ullman; currently reading The Heart is a Lonely Hunter by Carson McCullers. Next is the second in a trilogy about demons and angels. Gotta mix it up! Too weird about our sons’ b’days. My son was due on July 11th, a day before my b’day, but waited until July 20th to make an appearance. Longest 9 days of my life! Happy Birthday, Amy, and all the best for a great year. I just finished reading The Witch’s Daughter by Paula Brackston, stepping out of my usual genre and sampling historical paranormal. I liked it! Next up, I think, is Maeve Binchy’s final novel, A Week in Winter. I’ve just read WHEN SHE WAS GOOD by Laura Lippman. Great read! Would love suggestions on Women’s Fiction which is NOT necessarily romance. Best birthday present ever? I have two great ones: For my 50th birthday, I ran the NYC marathon and lived to tell about it. To celebrate 60, two of my sisters flew 1200 miles to celebrate with me. I’ll never forget either. Worst birthday ever? Too many to count. Diane, that’s what I like too—not-so-romantic women’s fiction. I’ll humbly suggest my book of course, THE GLASS WIVES!! If you haven’t read about it, you can do so by clicking on the book cover in the sidebar. I’d also recommend some of my all-time favorites: THE WEDNESDAY SISTERS by Meg Waite Clayton, FRIENDSHIP BREAD by Darien Gee, SAVING CEECEE HONEYCUTT by Beth Hoffman, KEEPSAKE by Kristina Riggle, MAINE by J. Courtney Sullivan. There are more. Maybe that would be a great blog post! I’m almost finished with RULES OF CIVILITY by Amor Towles. I can’t wait to read THE GLASS WIVES. I could NEVER live with my husband’s ex, so I want to see what the dynamic is between these two ladies. I’m currently reading THE TYPEWRITER GIRL by Alison Atlee. I love a strong female protagonist and Betsey has some backbone! We aren’t big gift givers in our family. We like to do an outing like bowling or go on a daytrip. Tomorrow I think we will just go to the movies. 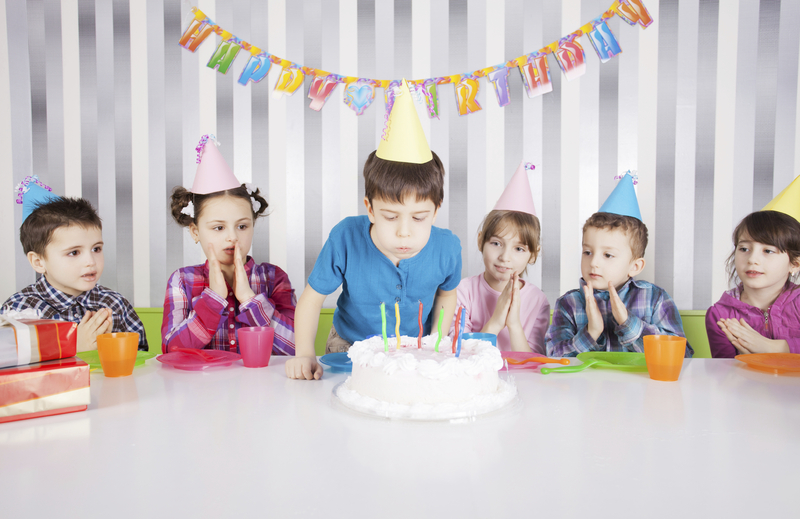 I’ve got a mental block on worst/best birthdays of my own – but my daughter’s first bday ended in 98% of the guests getting a horrible stomach virus – baby and I remained unscathed, but everyone else fell ill and blamed my husband’s cooking! (Pretty sure it was a rotavirus.) She won’t remember it, but I always will! I’m reading The Ten-Year Nap by Meg Wollitzer. It’s getting me back in touch with my fiery feminist side. I’m reading The Type-Writer Girl by Alison Atlee. I am reading two books at once: am LOVE, LOVE, LOVING The Advanced Fundamentals of Caregiving, and am also enjoying A Land More Kind Than Home (for my first-ever book club that I’m starting out here in the boonies). Worst b-day gift? The toaster-shaped ceramic cookie jar. The most interesting birthday experience: when my DQ cake came to me with the greeting, “Happy Birthday Meliffa.” Yep – the girl who took the order over the phone actually though my mom said MELIFFA. I mean, I see her confusion. There are loads of Meliffas in this world. That was my nickname for years, as you can imagine. Happy, happy birthday, Amy! I am reading The Storyteller by Jodi Picoult on my Kindle and The Typewriter Girl by Alison Atlee in book form. Would love to win this give-away. Happy Birthday, Amy. Hope you have a great day. I’m currently reading The Submission by another Amy–Amy Waldman. My best birthday recently was in 2005. I spent it with my husband, my sons and their girlfriends at Long Beach Island, NJ, and one of the girlfriends baked me a cake. I liked your website for my second entry. Happy birthday, Amy! I’m reading Girlchild by Tupelo Hassman and really liking it so far. Happy Birthday!!! I hope you have an amazing day! I am currently reading the Official Guide to the GRE (no fun but necessary), but once I’ve taken the test this Saturday I plan to start Illegally Iced by Jessica Beck… Some fun, lighthearted mystery reading after all the GRE seriousness!! Love the rest if the books in her series so far!! Happy Birthday!! I am reading “A Killer Read–An Ashton Corner Book Club Mystery” by Erika Chase. She is also a debut novelist. I am looking forward to reading The Glass Wives. H A P P Y B I R T H D A Y!!!! A Town with Empty Rooms by Karen Bender. Happy birthday! Happy Birthday! I’m reading The Night Circus but Calling Me Home by Julie Kibler is next up. Then, in 77 days, The Glass Wives. Ann, Thank you! Big hug! Hey Ann! It was a pleasure to meet you and your husband in Houston last weekend! And what a great dinner recommendation! I plan to read both your books as soon as I can. Best of luck! Happy birthday Amy! I finished last night The Lion Is in by Delia Ephron and I’m about to start Family Pictures by Jane Green. I’m currently reading 1984 by George Orwell as part of a “Books We Should Have Read” Book Club. lol. Up next is The Lady of the Rivers by Philippa Gregory. I was surprised to see I hadn’t already liked your Facebook page because I thought I had done that ages ago! I’ve now clicked the Like button. I just finished a book last night so I am in between, but today I’ll be starting The Opposite of Hallelujah. I hope it’s as great as I heard! Thank you so much, crossing my fingers!!! I love that you were reading Patti’s book while writing this post. I just finished reading And Then I Found You by Patti and it is my all time favorite book!!! I am currently reading Market Street by Anita Hughes and am loving it!!! I’m reading The Song Remains The Same by Allison Winn Scotch. Very good! Wishing you a very Happy Birthday – enjoy your special day! Hi Amy! I feel like I almost know you since Julie Kibler is my oldest and best friend! I have heard so much about The Glass Wives, I can’t wait to read it. I’m currently reading Mother of Pearl by Kellie Coates Gilbert, and then in my car, listening to Wizard and Glass by Stephen King (number four I think in the Dark Tower series, which I am finally reading and totally loving). You might say I have pretty eclectic tastes in my reading material. 🙂 My BEST birthday gift ever was the birth of my third grandchild, Liam, two days after my birthday in 2011! I kept hoping he’d arrive ON my birthday, but no such luck, but he is a Halloween baby so that will be party fun every year. Can’t remember a worst gift. Maybe that’s a good thing! My worst gift was given to me by my Mother, and it was a half used bottle of perfume!!! The best was when my best friend surprised me with tickets to a Martina McBride concert, and she kept it a secret until we got to the coliseum that night!! AWESOME!!! I can’t enter, but I’m reading Andrew clover – learn love in a week, only 21 pages in and would recommend! Happy Birthday!! My son was born in between my husbands And mine 28th birthdays!! His Oct Baby Nov Mine Dec. such fun! I’m reading The day I lost my shaker of salt by Jen Tucker. Just love her and I won that book. I’m reading How We Met by Katy Regan. Happy birthday! Right now I’m about halfway through The Girls Guide to Love and Supper Clubs by Dana Bate. Absolutely lovin this book! Happy birthday! I am a book blogger so I am lucky enough to be reading Sand Castle Bay by Sherryl Woods. Loving this new trilogy! Have a great birthday! Happy Solar Return! I’m reading CALLING ME HOME by Julie Kibler and I’m loving it! Happiest of Happy Birthdays to you, Amy. I’m reading A COLD AND LONELY PLACE by Sara J. Henry and listening to A RIVER RUNS THROUGH IT AND OTHER STORIES by Norman Maclean. May this new year bring a surge of bright tomorrows. Cheers! Happy Birthday! I am reading Garden of Stones by Sophie Littlefield.